Today, more than ever, running an inbound call center is all about data and metrics– and not just any inbound metrics, but the right ones. However, with so much focus being placed on mitigating agent learning, maintaining customer satisfaction, and raising profits oftentimes important metrics that equate to better results get lost in the wayside to external factors. Technology keeps advancing, integration of artificial intelligence into call centers has created new ways for customers to interact with your employees. But in the midst of these hot button tech advances, the big picture “goal-oriented” metrics should always be the main focus in how you track and optimize the success of your inbound call center. According to business insider, 86% of customers quit doing business with a company because of a bad customer service experience. Nearly every metric in this article will have an impact on your CSAT score. Taking steps to ensure your customers are happy and satisfied is critical to eliminating and avoiding high customer churn rate. Whether it’s enhancing the skill level of your agents, or automating your inbound call flow -- everything you do as a company should be focused around attaining customers AND keeping them satisfied. By ignoring this metric you are leaving the door wide open for a competitor to treat them right. To calculate CSAT score, you take happy customers and divide that by number of customers Asked (also illustrated in the image below). Never ignore how your campaigns work & the quality of your customer support. Customer service, while largely overlooked, is actually one of the most effective ways to GAIN profits and retain customers. Whether it is a lack of effective software, errant LMS, or simply bad agent performance– customer churn rate is the metric upon face value that is making you the most profits. 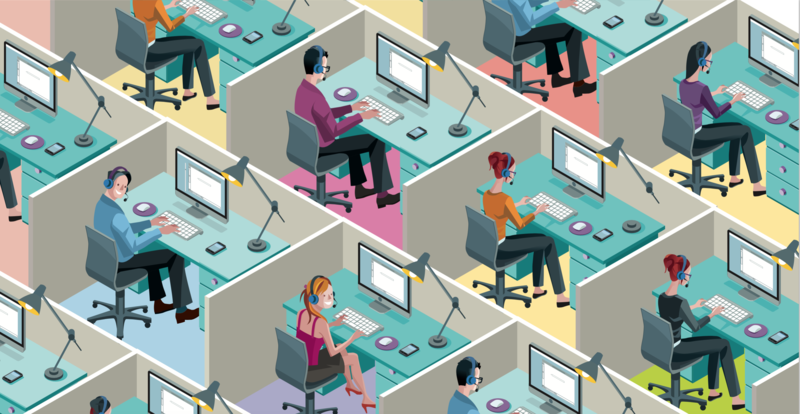 Always note that there is a domino effect that occurs in every call center. Being data sensitive and focusing on the reporting aspect of your call center will only result in better performing agents & better results. Your operation’s First Call Resolution Rate (FCR) is a strong indication of how knowledgable your agents are, and how streamlined your call center process is for your customers. The more customer issues your agents can resolve within the initial point of interaction, the higher your FCR rate will be and as a result, your operation will also be more productive as well. A study conducted by Customer Relationship Metrics indicated that Customer Satisfaction score (CSAT) will be 35%-40% LOWER when a second call is made on the same issue. For the sake of fully understanding the value and importance of the FCR metric, let’s put ourselves in the shoes of a customer. No matter what, there always comes the dreaded time where the only way to resolve an issue is by calling into the cumbersome customer support hotline -- and no matter who you are, you want to get connected to an agent as quickly as possible who can resolve your issue as quickly and efficiently as possible. Your call center’s Transfer Rate highlights how often a customer needs to be redirected to a better skilled or better fit agent for their needs. Measured as a percentage, a high transfer rate indicates your operation could benefit from a detailed audit of your entire inbound call flow and processes. Transfer rate can speak to your system itself; is your IVR & automation system directing customers to the direct department? Is your LMS ineffectiveness resulting in high transfer rates? High transfer rates make for inefficiency within your call center. Needing multiple employees to solve one issue is bad for any business– and this is especially true in an industry where customer want instant solutions. No matter how great your hold music is–odds are nearly everyone has something better to do then sit for hours listening to mottled old jazz. As stated earlier, technology has changed the way customers EXPECT interactions with customer service -- setting higher standards for businesses that strive to deliver a quality customer experience. Immediate responses and on-demand fixes/resolutions is the new expectation. With this said, having your customers waiting in queues will most likely only result in irate and frustrated customers -- who end up searching for a more efficient and effective alternative. According to many studies, this frustration will likely lead to a customer switching to a competitor. Agent Idle time is a widely overlooked metric throughout the call center industry. This metric defines how often your agents are on task. How often are your agents actually on call? Are your agents following up with the customers they need to? Are your agents always on NOT READY? A lot of inbound metrics are service & support facing– however this one speaks well to the success of inbound sales teams. By adding incentives to staying on task; you can ensure your agents are motivated to hit their personal KPIs and close more deals. You do not want a landing page effort’s to be deterred just due to the lack of efficiency by your agents! Give your agents access to pre-written and highly targeted scripts that will help them boost their confidence through results-proven repetition and processes. Many call centers overlook preparation. 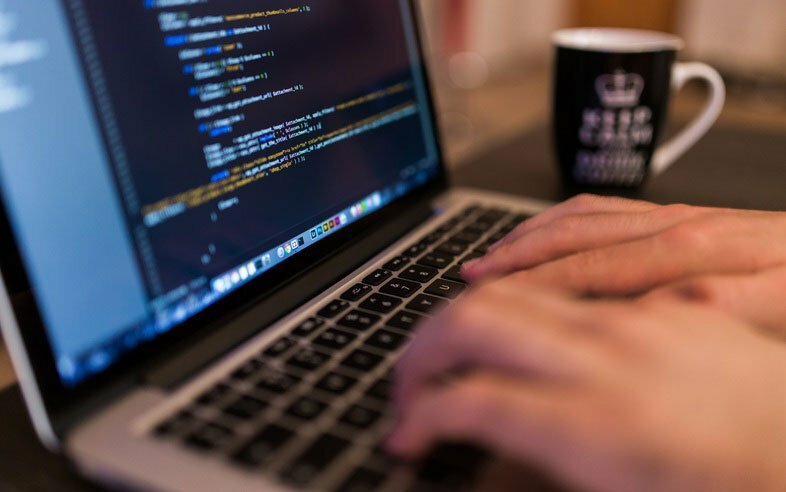 Simply enough, your agents should be skilled enough to take on the increase workload of calls based on a new product release or landing page success. Call center managers should always adjust to the times of day their customers call in the most frequently, as well as how long these calls typically take. Forecasting accuracy is a metric that most call center managers only dissect monthly or even quarterly– however, this metric, due to the monthly variation, should be dissected weekly for accuracy. Improving forecasting accuracy all begins with accurate reporting. Use the data available to you to see the hours your customers are calling in most frequently. Plan your campaigns ahead of time and be transparent to your agents about the increased workload. Address customer issues before they become serious issues. Average Age of Query is a metric that looks at how often customers have to call in for the same issue. Use proper reporting to see why customers might need multiple calls. The shorter the number of calls the better. 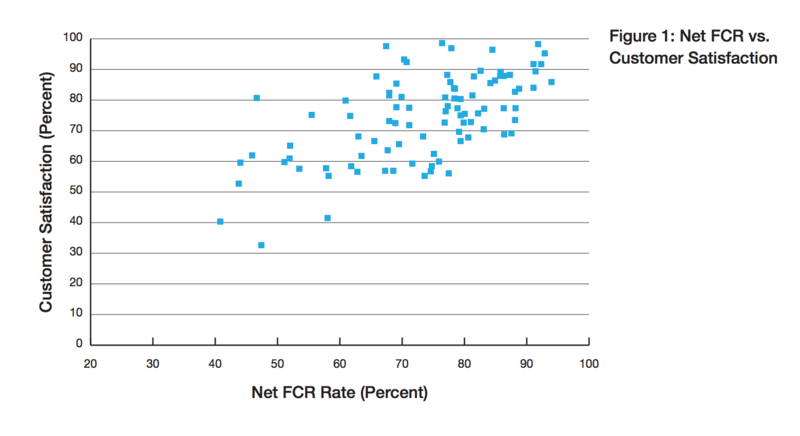 Aim for one call per issue to get FCR higher! High turnover rates have haunted call centers ever since the first dial. Your inbound operation is likely affected by this and this is resulting in high onboarding costs as you constantly have to train & find new agents. Getting new agents up to speed creates a potential environment where you are lacking higher level agents to address the more tasking issues that your customers have. Lowering agent turnover rate begins in the onboarding process. By instituting a rewarding learning management system call centers have seen agents more invested in the company & more inclined to want to grow within the company. Managers should always be paying close attention to the happiness of their employees. Self-service accessibility is not necessarily a metric, but has an everlasting effect on your efficiency on customer facing issues. In other words, are you preparing your business with enough outlets so customers do not have to call in? If they do have to call in, is your IVR setup correctly enough to handle issues without high transfer rates? Prepare your business by utilizing dispositions and the data in front of you to tell you why your customers are frequently calling in. These frequent calls are likely avoidable by informative blogs or a proper FAQ. Call center managers typically access self-service accessibly within their IVR. Typically, they see how many self service transactions customers have within the IVR system before talking to an agent. Call duration is a statistic that can help the flow of your call center. Simply put, call duration is the average length of time your agents are on call with a customer. Oftentimes, integrating features like an IVR, advanced scripting, detailed dispositions, CTI screenpops, etc. can be extremely influential in giving your agents the best ability to solve your customer's’ needs. Similar to call duration, however average handle time incorporates every second your customer is on the phone with your company. Getting this overall number down gets your agents more chances to talk to customers and overall grants your customers a better experience. Paying attention to when your customers are calling in is important to any operational call center. Specifically when it comes to customers calling in when it is nearing closing time. For employees without overtime this can be extremely frustrating and can cause rushed customer interactions. Admins paying agents overtime should look to better their costs and potentially adjust company hours if this metric is too high. Widely knows as the most important metric for businesses and call centers alike. Net Promoter Score, or NPS, is the likelihood of a customer's willingness to recommend a company’s product or services. An underlying result of high NPS is amazing customer support teams. Oftentimes, NPS can be low simply due to consistently below average customer experiences. Think to yourself how likely are YOU to recommend your own product based on the interactions your customers have with your agents. 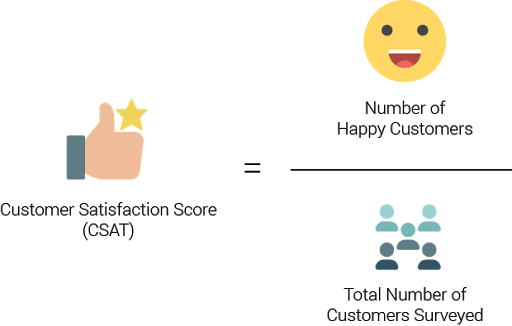 A detractor in NPS is just as important as an actual promoter, always do your best to find out why customers are leaving your company. Find out why your promoters are so adamant about your company. SurveyMonkey has a great breakdown of how to calculate your NPS. If you're an outbound call center manager looking for your very own top 15 list? Stay tuned and subscribe for the latest Starting Lineup blogs.